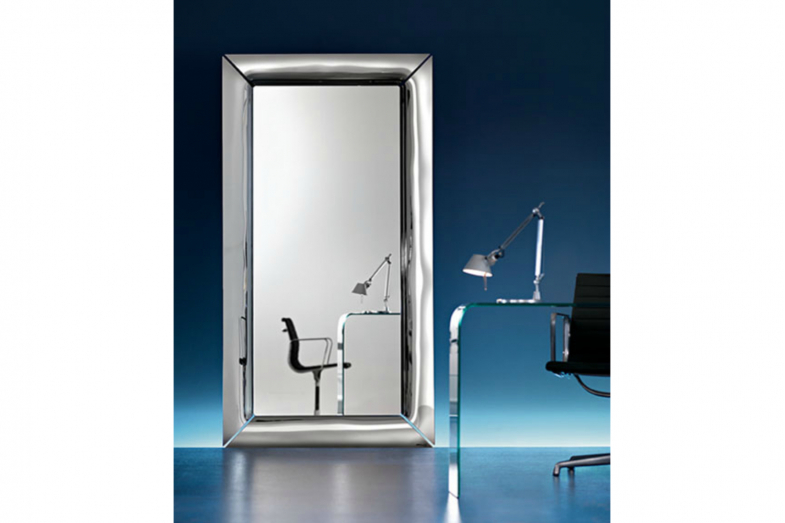 Philippe Starck's Caadre mirror for Fiam Italia features a distinctive frame. The long standing mirror is a beautiful yet simple room accessory. Philippe Starck's Caadre mirror is a free-standing or hanging mirror, in 6mm thick curved glass. Made of 4 separate elements, the mirror features a metal grey-stained frame that is available with engravings, in corrugated curved glass or semi-reflective glass titanium finishing.